The child and his mother continued with a discussion about climate solutions, but the little boy was pretty angry and having nothing of her optimism. His mom told him not to give up. It isn’t quite fair to blame dad and mom for climate disruption. After all, climate scientists have been warning every administration since LBJ in 1965. But, this young boy makes a good point in questioning what his future might look like. With so much inertia in the climate system, we can expect warming to continue for decades after we shut off the emission pipeline. A few days after overhearing the young family’s conversation, we were in Glenwood Springs, Colorado. 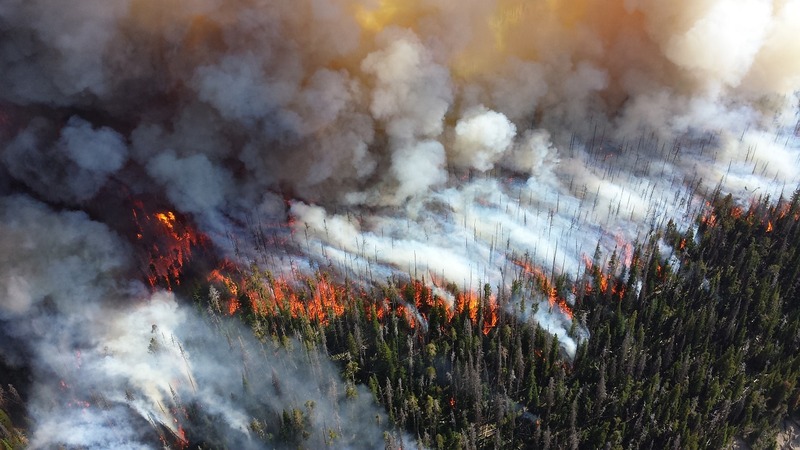 Now, we could see and smell the smoke from fires in California; about 1000 miles away. We topped off that evening with a visit to the ER because my son was dehydrated and vomiting, a consequence of too much time in the heat with not enough water. Welcome to the new norm of summer vacation. After vacation, I had a conversation with my friend who lives in Los Angeles. Her birthday was July 6th. I asked her about the celebration. “It was 118˚ F, so we basically stayed in the house where we had air conditioning,” she told me. Later, as I was leafing through my new Climate Reality slideshow deck, I let her know that Al Gore memorialized her birthday heat record on a slide. “That is both bizarre and scary,” she responded. I wrote the above about six weeks ago. In climate disaster terms, that’s ancient news. 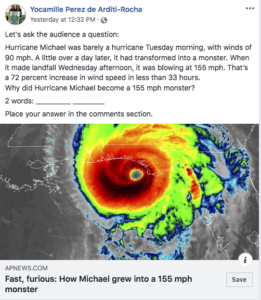 I could really construct a new Al Gore-like slideshow presentation out of my Facebook news feed every week with all the new unprecedented disasters. And just this week, we’ve got a new IPPC report telling us that we are have to make serious changes NOW. And, hold on— hurricanes—yes, I almost forgot the hurricanes—remember when Al Gore got so much criticism for saying that climate change fueled hurricanes in the first An Inconvenient Truth? 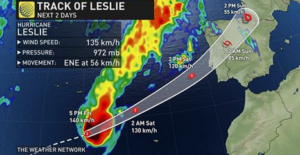 In the last month, we’ve seen Florence, Michael, and now Leslie. Leslie is poised to be the first hurricane to hit Portugal. Take that deniers. Alas, there is no joy in getting it right on climate. Welcome to the new climate normal. Guess what: it won’t last long. Are we at the precipice of hell? Well, maybe. But in life, sometimes, you need to be able to look at the abyss, and hurl yourself into it head first in order to get to the other—hopefully better place. Change always comes; you will never stop it. How you navigate change makes the difference. Think about this. On one hand, there is a world devolving in front of you. We are now operating outside of the climate envelope that our civilization was constructed under. What does that mean? It means lots more unprecedented storms, fires, disasters, disease, suffering, and death. So, we either ride the wave and try to weather it—even though we aren’t really equipped to do so. It’s kind of like taking an umbrella into a hurricane and expecting to protect yourself. Or …we all work for something better and more resilient. We build local communities and local food networks. We get to know our neighbors. We create new industries that are resilient and renewable, and that provide good paying jobs. We eat less meat. We plant trees and sequester carbon in soils. We tax carbon. We innovate. We invest in infrastructure and public transit. We plant victory gardens. We buy less stuff. We ride bikes. We end food waste. We hang dry our clothes. We insulate our homes. We vote for climate action candidates. We champion climate policy based on science. We stop complaining. We embrace kindness and civility again. We disentangle ourselves from fake memes. We believe in our own power. We Birth the World We Want. I don’t know about you, but the second scenario sounds a whole lot better to me. Tag- You’re it. Let’s get started.NOW. Project Drawdown ranks the 100 most impactful solutions to U-turn global warming.